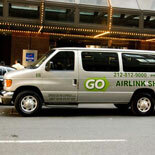 Let Go Airlink Shuttle show you how their superb service between Manhattan and LaGuardia Airport can de-stress your New York visit and save you money at the same time! Go Airlink Shuttle provides dependable, economical and safe share-ride shuttle service door-to-door in each direction between the city and the airport. 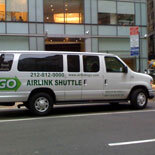 Go Airlink Shuttle serves hotels, neighborhoods, major transportation terminals and corporate offices in the Manhattan area from LaGuardia Airport. With a large fleet of modern, comfortable vans and at prices substantially lower than taxi fares, it is the best way to travel! Get your eTicket today and experience VIP service from Go Airlink Shuttle - LaGuardia Airport to Manhattan - on your next trip to New York City through LGA Airport! 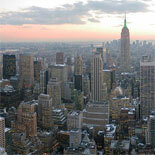 LaGuardia Airport to Hotels in Manhattan now operates 24 hours a day, seven days a week. On arrival please proceed to the Ground Transportation Desk in your arriving terminal and present voucher to the agent at the desk for transfer assistance. If agent not available, please use phone at nearby transportation phone bank and dial #18. Individual vouchers needed for round-trip. This eTicket is good from LGA Airport to Manhattan only. Please call the Customer Service number provided on your eTicket for more information about hotels available for pick ups | Baggage Allowance: One suitcase and one small carry-on per person.